It's quarterfinal time in the second tier elite schools competition Damu Pevu after the conclusion of preliminary games - some of which were played, others awarded. In the released fixtures Pool A winners Thika High (12 pts) will host Aquinas, the school placed fourth in pool B with two points. 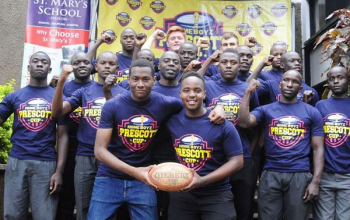 Pool B table toppers Dagoretti High with 20 pts (pictured in a past game) will be up against former Prescott Cup side Kiambu High who ended up fourth in pool A with eleven points. 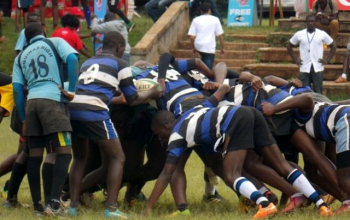 Second place finishers Githiga High and Highway Secondary from pool A and B, respectively will host third placed sides Sunshine and Jamhuri High - the third placed schools from the opposing pools. 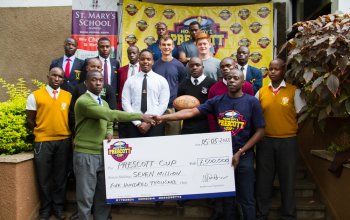 Githiga were a Prescott Cup side till last year but dropped down to Damu Pevu after losing a playoff to Strathmore School this year. They will be keen for an immediate bounce back to the top. Though part of the knockout fixtures, Sunshine failed to play a single game this year – as well as Pioneer and Moi Forces Academy in pools A and B. According to the organisers all quarters games must be played by Saturday 16 June. Most are likely to be played on Wednesday though this is subject to confirmation. "We are as ready as ready can be. Kiambu are a very good side. They play flowing rugby and are very mental in their game. 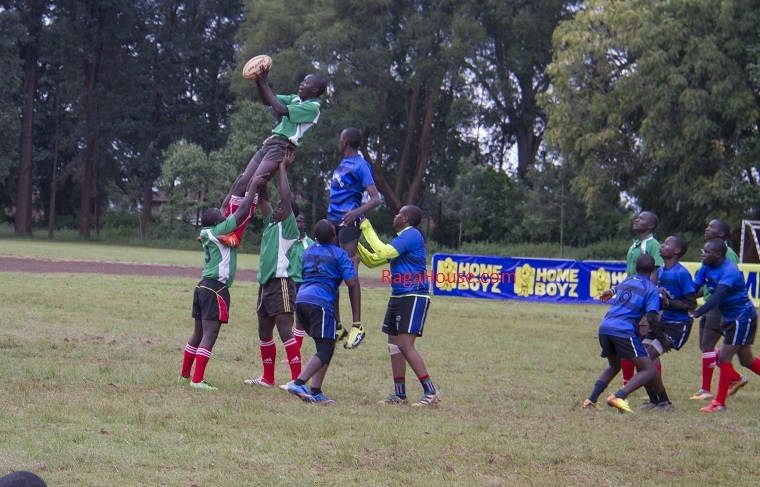 They know what playing in big games is all about,"
"This can be challenging and coming from the Aberdare region they play a lot more during school games and are therefore very match fit. They are more cohesive in their game,"